New Jersey will soon have a $15 minimum wage after Gov. Phil Murphy signed into law legislation that would gradually raise the state’s starting wage to $15 per hour by 2024, NJ.com reports. The first pay raise will bump the current $8.85 to $10 an hour on July 1. New Jersey is the fourth state to mandate a $15 minimum wage. “Today we make our economy both fairer and stronger,” Murphy said after signing the bill Feb. 4. The governor had campaigned on raising the state’s minimum wage during his first year in office, which he missed by a few weeks. “This is a huge step forward” for more than a million workers “to be able to more capably provide for themselves and their families,” he said. 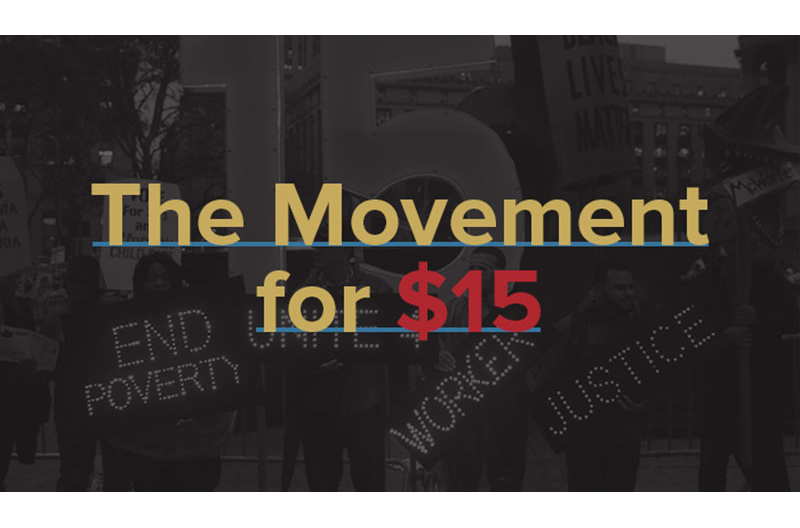 The new state law is a compromise that jacks the minimum wage to $15 per hour for nearly all workers on a sliding scale: $10 an hour on July 1; $11 on Jan. 1, 2020; then a dollar more each January until it hits $15 on Jan. 1, 2024. However, workers at companies with five or less employees and seasonal workers don’t have to be paid $15 an hour until 2026, while farm workers will only reach $12.50 per hour until 2024. The New Jersey legislation also provides employers with the option of paying a training wage of no less than 90 percent of the minimum wage for the first 120 hours of an employee’s time at work. The state’s tipped wage also will jump from $2.13 an hour to $5.13 an hour. Democrats in Congress introduced legislation that would raise the federal minimum wage to $15 an hour. Washington, D.C., will reach $15 minimum wage next year, while California will hit $15 an hour in 2022, followed by Massachusetts in 2023. New York City has a $15 minimum wage in place for businesses employing 10 or more workers, with smaller companies set to pay $15 an hour by 2020. Already, 19 states have a higher minimum wage than $7.25 an hour. Silver Spring, Maryland-based Workplace Fairness has endorsed the Raise the Wage Act of 2019, supporting the next Federal Minimum Wage bill that was introduced in Congress on Jan. 16. National Employment Law Project (NELP) and the Economic Policy Institute have put together a sign-on statement.